Our product range includes a wide range of handmade soaps, scrubber soaps, lemongrass soap, soapnut shells, soapnut dishwashers and soapnut fabric cleaner. About: We at Gingerly offer a range of organic, natural and handmade soaps. Our soaps are designed to protect and nourish skin using nature’s choicest skin-loving ingredients with minimal processing. 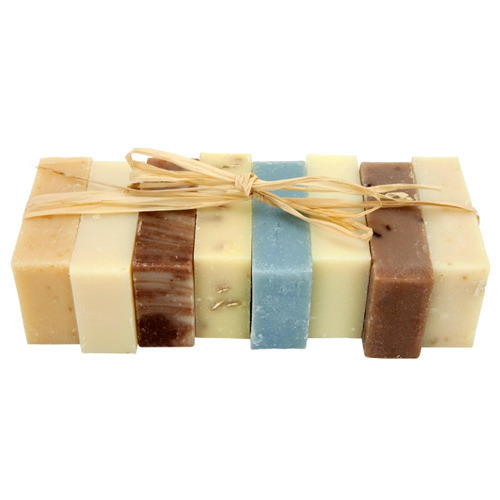 Our soaps are mild on skin and hair and leave no toxins behind. They leave skin clean, soft, supple and healthy with luxurious creamy lather that conditions and moisturizes. Regular use of our soaps helps in maintaining radiant skin. We only use organic coconut/olive/blend of natural oils for soap base which provide great nourishment to skin. Cold processed: We manufacture the soaps with cold process (no heat involved) which ensures maximum nutrient benefits from oils and herbs. Our soaps contain glycerin which is produced during soap-making process. Glycerin is a great humectant which makes skin supple. No animal fat/testing: Our soaps only contain vegetable fat and they are not tested on animals. No harmful chemicals: Our soaps only use safe and natural products that do not contaminate water with harmful chemicals. No SLS, parabens, palm oil, Triclosan, fillers, petroleum products are added to our soaps which can have long term toxic effects. Suitable for sensitive skin: As our soaps are free from artificial colour and fragrance, they are suitable for sensitive skin. Only fragrance present in soaps is natural fragrance of essential oils. Enriched with skin-friendly oils: Our soaps clean well and can be enriched with multiple essential oils for anti bacterial effect. Natural oils present in our soaps are full of Vitamin A& E and help in healing and soothing of damaged and dry skin. Hygienic: We maintain highest standards of hygiene standards in our soap making process, so our soaps are free from any impurity. High fat content: Our soaps have high fat percentage, so they don’t leave skin dry and stretchy after use. Vast range: Skin care needs are different for every individual depending upon skin type, climate, weather, lifestyle etc. 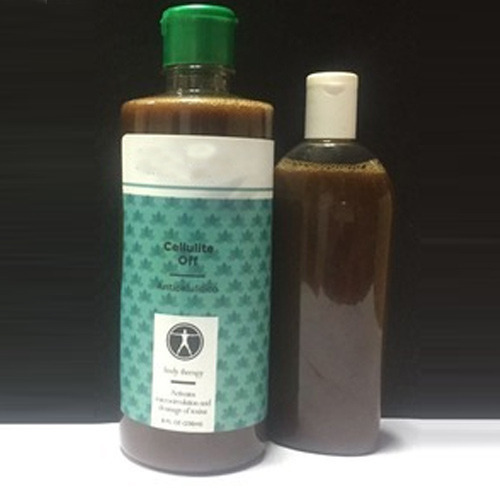 We offer a variety of formulations using natural botanicals and essential oils, spices, herbs minerals etc. Don't soak your soap in water for too long. Best to use natural soaps within 6 months of manufacturing. Let soap dry between uses. Use draining soap dish. Store unused soap in a dark and cool place. Rose Sandal Soap with Rose petals: Enriched with essential oils of Rose and Sandal, this soaps helps nourishing and cooling skin with pleasing aroma. Lemon Tea Tree Soap: Lemon and Tea tree both work as great anti bacterial agents which help cleaning skin from infections and acne. 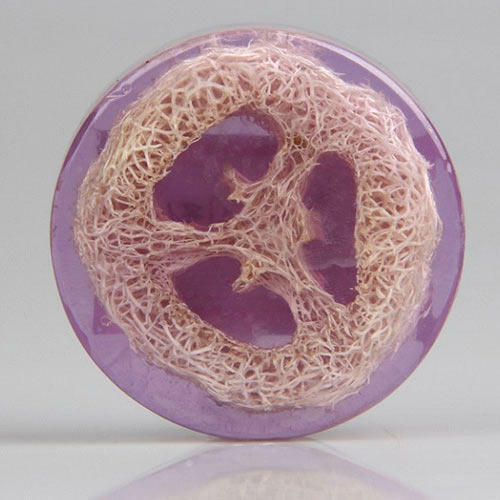 Lavender Soap Soap: Lavender has uplifting and soothing aroma and rejuvenates skin. Southern Spice Luffa Soap: This soap has uplifting scent of clove and cinnamon with coconut oil. This soap has natural luffa for body scrubbing. Activated Charcoal Soap: Activated charcoal is knows as a great cleansing agent. It helps removing oil, dirt and pollution accumulated on face which reveals fresh skin and prevents pimples. Neem Tulsi Soap: Neem and Tulsi have cleansing and anti bacterial effect on skin. This soaps works wonders for acne prone skin. Our offered Scrubber Soaps are special soaps equipped with a piece of luffa sponge embedded within it to enhance the scrubbing effect upon the skin in order to exfoliate with every wash. We’ve scented this soap with delicate and soothing essential oils. Lemongrass soaps are full of citrusy fresh fragrance and antiseptic benefits of lemongrass. These soaps makes hair shiny and skin free from oil and dirt. Lemongrass soaps contain natural lemongrass oil which cleanses open pores gently and help in skin problems. Lemongrass fragrance is also relaxing and uplifting. 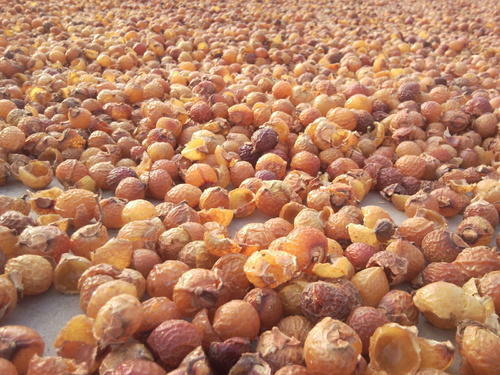 Soapnut shells: Soap nuts also known as reetha or soapberry is one of the best natural surfactants. Soap nut berries are full of saponins which help in cleaning dirt, oil and grime. Household cleaning products available in market today are full of harmful chemicals, colours and fragrances. Continuous exposure to these chemicals can lead to diseases, especially for pets and infants. These products can also be harsh on skin and hazardous to natural resources. 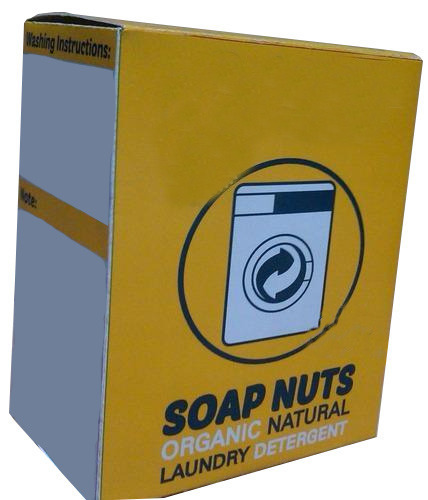 Products made with soap nuts are 100% natural, safe and non-toxic and bio-degradable. Dish wash powder: This powder is completely safe and herbal way of cleaning dishes. It is natural disinfectant and keeps utensils clean and shiny. Soapnut helps in removing oil while neem provides disinfecting effect. Lemongrass adds pleasant fragrance. Use: Dishwash powder should be mixed with water to make paste. This paste can be used to clean dishes. Dishes should be rinsed with water. Fabric cleaner: Whole soapnuts can be tied in a cloth bag and then added to wash load in machine. They work great as effective, natural and safe fabric wash. Garments remain soft and colours remain unaffected from harsh chemicals. Waste water is also not harmful to environment. Looking for “Natural Soaps and Detergents”?